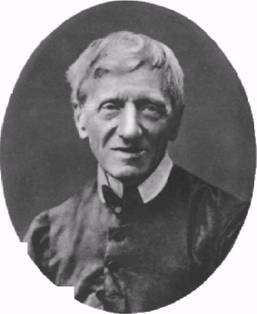 When Papal Infallibility was defined in the middle of the nineteenth century, Cardinal Newman was a popular opponent often cited by the liberals. In fact he was not opposed to Papal infallibility as this excerpt from his Apologia shows. Neither was he in any way a liberal or a forerunner of the Second Vatican Council as many claim today. 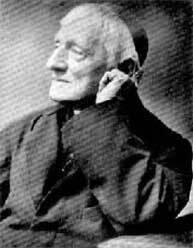 His reservations were based on the fact that most people interpreted the declaration of Papal Infallibility as meaning the Pope cannot make a mistake. If, he said, at any time in the future we ever get a bad Pope, as we have had in the past, the man in the street will think he can’t make a mistake and all will follow him on the road to perdition. This is a very different sort of foreknowledge of Vatican II to the one normally ascribed to him. Readers will, however, see that it is more accurate once they read the article below. Passing now from what I have called the preamble of that grand power, which is made to the Church, to that power itself, Infallibility, I premise two brief remarks: 1. on the one hand, I am not here determining any thing about the essential seat of that power, because that is a question doctrinal, not historical and practical; 2. nor, on the other hand, am I extending the direct subject-matter, over which that power of Infallibility has jurisdiction, beyond religious opinion: and now as to the power itself. This power, viewed in its fullness, is as tremendous as the giant evil which has called for it. It claims, when brought into exercise but in the legitimate manner, for otherwise of course it is but quiescent,1 to know for certain the very meaning of every portion of that Divine Message in detail, which was committed by our Lord to His Apostles. It claims to know its own limits, and to decide what it can determine absolutely and what it cannot. It claims, moreover, to have a hold upon statements not directly religious, so far as this, to determine whether they indirectly relate to religion, and, according to its own definitive judgment, to pronounce whether or not, in a particular case, they are simply consistent with revealed truth. It claims to decide magisterially, whether as within its own province or not, that such and such statements are or are not prejudicial to the Depositum of faith, in their spirit or in their consequences, and to allow them, or condemn and forbid them, accordingly. It claims to impose silence at will on any matters, or controversies, of doctrine, which on its own ipse dixit,2it pronounces to be dangerous, or inexpedient, or inopportune. It claims that, whatever may be the judgment of Catholics upon such acts, these acts should be received by them with those outward marks of reverence, submission, and loyalty, which Englishmen, for instance, pay to the presence of their sovereign, without expressing any criticism on them on the ground that in their matter they are inexpedient, or in their manner violent or harsh. And lastly, it claims to have the right of inflicting spiritual punishment, of cutting off from the ordinary channels of the divine life, and of simply excommunicating, those who refuse to submit themselves to its formal declarations. Such is the infallibility lodged in the Catholic Church, viewed in the concrete, as clothed and surrounded by the appendages of its high sovereignty: it is, to repeat what I said above, a super-eminent prodigious power sent upon earth to encounter and master a giant evil. And now, having thus described it, I profess my own absolute submission to its claim. I believe the whole revealed dogma as taught by the Apostles, as committed by the Apostles to the Church, and as declared by the Church to me. I receive it, as it is infallibly interpreted by the authority to whom it is thus committed, and (implicitly) as it shall be, in like manner, further interpreted by that same authority till the end of time. I submit, moreover, to the universally received traditions of the Church, in which lies the matter of those new dogmatic definitions which are from time to time made, and which in all times are the clothing and the illustration of the Catholic dogma as already defined. And I submit to those other decisions of the Holy See, theological or not, through the organs which it has itself appointed, which, waiving the question of their infallibility, on the lowest ground come to me with a claim to be accepted and obeyed. Also, I consider that, gradually and in the course of ages, Catholic inquiry has taken certain definite shapes, and has thrown itself into the form of a science, with a method and a phraselolgy of its own, under the intellectual handling of great minds, St. Athanasius, St. Augustine, and St. Thomas; and I feel no temptation at all to break in pieces the great legacy of thought thus committed to us for these latter days. All this being considered as the profession which I make ex animo,3 as for myself, so also on the part of the Catholic body, as far as I know it, it will at first sight be said that the restless intellect of our common humanity is utterly weighed down, to the repression of all independent effort and action whatever, so that, if this is to be the mode of bringing it into order, it is brought into order only to be destroyed. But this is far from the result, far from what I conceive to be the intention of that high Providence who has provided a great remedy for a great evil, far from borne out by the history of the conflict between Infallibility and Reason in the past, and the prospect of it in the future. The energy of the human intellect “does from opposition grow;” it thrives and is joyous, with a tough elastic strength, under the terrible blows of the divinely-fashioned weapon, and is never so much itself as when it has lately been overthrown. It is the custom with Protestant writers to consider that, whereas there are two great principles in action in the history of religion, Authority and Private Judgment, they have all the Private Judgment to themselves, and we have the full inheritance and the superincumbent oppression of Authority. But this is not so; it is the vast Catholic body itself, and it only, which affords an arena for both combatants in that awful, never-dying duel. It is necessary for the very life of religion, viewed in its large operations and its history, that the warfare should be incessantly carried on. 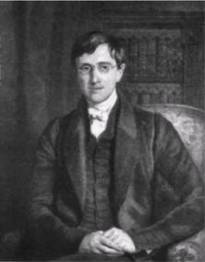 Every exercise of Infallibility is brought out into act by an intense and varied operation of the Reason, both as its ally and as its opponent, and provokes again, when it has done its work, a reaction of Reason against it; and, as in a civil polity the State exists and endures by means of the rivalry and collision, the encroachments and defeats of its constituent parts, so in like manner Catholic Christendom is no simple exhibition of religious absolutism, but presents a continuous picture of Authority and Private Judgment alternately advancing and retreating as the ebb and flow of the tide; it is a vast assemblage of human beings with wilful intellects and wild passions, brought together into one by the beauty and the Majesty of a Superhuman Power, into what may be called a large reformatory or training-school, not as if into a hospital or into a prison, not in order to be sent to bed, not to be buried alive, (if I may change my metaphor) brought together as if into some moral factory, for the melting, refining, and moulding, by an incessant, noisy process, of the raw material of human nature, so excellent, so dangerous so capable of divine purposes. St. Paul says in one place that his Apostolical power is given him to edification, and not to destruction. There can be no better account of the Infallibility of the Church. It is a supply for a need, and it does not go beyond that need. Its object is, and its effect also, not to enfeeble the freedom or vigour of human thought in religious speculation, but to resist and control its extravagance. What have been its great works? All of them in the distinct province of theology: to put down Arianism, Eutychianism, Pelagianism, Manichaeism, Lutheranism, Jansenism. Such is the broad result of its action in the past; and now as to the securities which are given us that so it ever will act in time to come. First, Infallibility cannot act outside of a definite circle of thought, and it must in all its decisions, or definitions, as they are called, profess to be keeping within it. The great truths of the moral law, of natural religion, and of Apostolical faith, are both its boundary and its foundation. It must not go beyond them, and it must ever appeal to them. Both its subject-matter, and its articles in that subject-matter, are fixed. And it must ever profess to be guided by Scripture and by tradition. It must refer to the particular Apostolic truth which it is enforcing, or (what is called) defining. Nothing, then, can be presented to me, in time to come, as part of the faith, but what I ought already to have received, and hitherto have been kept from receiving, (if so), merely because it has not been brought home to me. Nothing can be imposed upon me different in kind from what I hold already, much less contrary to it.4 The new truth which is promulgated, if it is to be called new, must be at least homogeneous, cognate, implicit, viewed relatively to the old truth. It must be what I may even have guessed, or wished, to be included in the Apostolic revelation; and at least it will be of such a character, that my thoughts readily concur in it or coalesce with it, as soon as I hear it. Perhaps I and others actually have always believed it, and the only question which is now decided in my behalf, is, that I have henceforth the satisfaction of having to believe, that I have only been holding all along what the Apostles held before me. Let me take the doctrine which Protestants consider our greatest difficulty, that of the Immaculate Conception. Here I entreat the reader to recollect my main drift, which is this. I have no difficulty in receiving the doctrine; and that, because it so intimately harmonizes with that circle of recognized dogmatic truths, into which it has been recently received; but if I have no difficulty, why may not another have no difficulty also? why may not a hundred? a thousand? Now I am sure that Catholics in general have not any intellectual difficulty at all on the subject of the Immaculate Conception; and that there is no reason why they should. Priests have no difficulty. You tell me that they ought to have a difficulty; but they have not. Be large-minded enough to believe, that men may reason and feel very differently from yourselves; how is it that men, when left to themselves, fall into such various forms of religion, except that there are various types of mind among them, very distinct from each other? From my testimony then about myself, if you believe it, judge of others also who are Catholics: we do not find the difficulties which you do in the doctrines which we hold; we have no intellectual difficulty in that doctrine in particular, which you call a novelty of this day. We priests need not be hypocrites,5 though we be called upon to believe in the Immaculate Conception. To that large class of minds, who believe in Christianity after our manner, in the particular temper, spirit, and light (whatever word is used), in which Catholics believe it, there is no burden at all in holding that the Blessed Virgin was conceived without original sin; indeed, it is a simple fact to say, that Catholics have not come to believe it because it is defined, but that it was defined because they believed it. So far from the definition in 1854 being a tyrannical infliction on the Catholic world, it was received everywhere on its promulgation with the greatest enthusiasm. It was in consequence of the unanimous petition, presented from all parts of the Church to the Holy See, in behalf of an ex cathedra declaration that the doctrine was Apostolic, that it was declared so to be. I never heard of one Catholic having difficulties in receiving the doctrine, whose faith on other grounds, was not already suspicious. 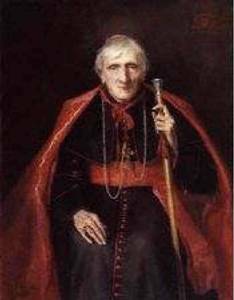 Of course there were grave and good men, who were made anxious by the doubt whether it could be formally proved to be Apostolical either by Scripture or tradition, and who accordingly, though believing it themselves, did not see how it could be defined by authority and imposed upon all Catholics as a matter of faith; but this is another matter. The point in question is, whether the doctrine is a burden. I believe it to be none. So far from it being so, I sincerely think that St. Bernard and St. Thomas, who scrupled at it in their day, had they lived into this, would have rejoiced to accept it for its own sake. Their difficulty, as I view it, consisted in matters of words, ideas, and arguments. They thought the doctrine inconsistent with other doctrines; and those who defended it in that age had not that precision in their view of it, which has been attained by means of the long disputes of the centuries which followed. And in this want of precision lay the difference of opinion, and the controversy. Now the instance which I have been taking suggests another remark; the number of those (so called) new doctrines will not oppress us, if it takes eight centuries to promulgate even one of them. Such is about the length of time through which the preparation has been carried on for the definition of the Immaculate Conception. This of course is an extraordinary case: but it is difficult to say what is ordinary, considering how few are the formal occasions on which the voice of Infallibility has been solemnly lifted up. It is to the Pope in Ecumenical Council that we look, as to the normal seat of Infallibility:6 now there have been only eighteen such Councils since Christianity was, an average of one to a century, and of these Councils some passed no doctrinal decree at all, others were employed on only one, and many of them were concerned with only elementary points of the Creed. The Council of Trent embraced a large field of doctrine certainly; but I should apply to its Canons a remark contained in that University Sermon of mine, which has been so ignorantly criticized in the Pamphlet which has been the occasion of this Volume; I there have said that the various verses of the Athanasian Creed are only repetitions in various shapes of one and the same idea; and in like manner, the Tridentine Decrees are not isolated from each other, but are occupied in bringing out in detail, by a number of separate declarations, as if into bodily form, a few necessary truths. I should make the same remark on the various theological censures, promulgated by Popes, which the Church has received, and on their dogmatic decisions generally. I own that at first sight those decisions seem from their number to be a greater burden on the faith of individuals than are the Canons of Councils; still I do not believe that in matter of fact they are so at all, and I give this reason for it: it is not that a Catholic, layman or priest, is indifferent to the subject, or, from a sort of recklessness, will accept anything that is placed before him, or is willing, like a lawyer, to speak according to his brief, but that in such condemnations the Holy See is engaged, for the most part, in repudiating one or two great lines of error, such as Lutheranism or Jansenism, principally ethical not doctrinal, which are divergent from the Catholic mind, and that it is but expressing what any good Catholic, of fair abilities, though unlearned, would say himself, from common and sound sense, if the matter could be put before him. Now I will go on in fairness to say what I think is the great trial to the Reason, when confronted with that august prerogative of the Catholic Church, of which I have been speaking. I enlarged just now upon the concrete shape and circumstances, under which pure infallible authority presents itself to the Catholic. That authority has the prerogative of an indirect jurisdiction of subject-matters which lie beyond its own proper limits, and it most reasonably has such a jurisdiction. It could not act in its own province, unless it had a right to act out of it. It could not properly defend religious truth, without claiming for that truth what may be called pomaeria’,7 or, to take another illustration, without acting as we act, as a nation, in claiming as our own, not only the land on which we live, but what are called British waters. The Catholic Church claims, not only to judge infallibly on religious questions, but to animadvert on opinions in secular matters which bear upon religion, on matters of philosophy, of science, of literature, of history, and it demands our submission to her claim. It claims to censure books, to silence authors, and to forbid discussions. In this province, taken as a whole, it does not so much speak doctrinally, as enforce measures of discipline. It must of course be obeyed without a word, and perhaps in process of time it will tacitly recede from its own injunctions. In such cases the question of faith does not come in at all; for what is matter of faith is true for all times, and never can be unsaid. Nor does it at all follow, because there is a gift of infallibility in the Catholic Church, that therefore the parties who are in possession of it are in all their proceedings infallible. “O, it is excellent,” says the poet, “to have a giant’s strength, but tyrannous, to use it like a giant.”8 I think history supplies us with instances in the Church, where legitimate power has been harshly used. To make such admission is no more than saying that the divine treasure, in the words of the Apostle, is “in earthen vessels”; nor does it follow that the substance of the acts of the ruling power is not right and expedient, because its manner may have been faulty. Such high authorities act by means of instruments; we know how such instruments claim for themselves the name of their principals, who thus get the credits of faults which really are not theirs. 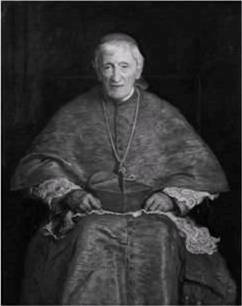 But granting all this to an extent greater than can with any show of reason be imputed to the ruling power in the Church, what difficulty is there in the fact of this want of prudence or moderation more than can be urged, with far greater justice, against Protestant communities and institutions? What is there in it to make us hypocrites, if it has not that effect upon Protestants? We are called upon, not to profess anything, but to submit and be silent, as Protestant Churchmen have before now obeyed the royal command to abstain from certain theological questions. Such injunctions as I have been contemplating are laid merely upon our actions, not upon our thoughts. How, for instance, does it tend to make a man a hypocrite, to be forbidden to publish a libel? his thoughts are as free as before: authoritative prohibitions may tease and irritate, but they have no bearing whatever upon the exercise of reason.